ESA has confirmed that its Rosetta space probe has completed the controlled landing on the comet 67P/Churyumov-Gerasimenko, in the region called Ma’at. This event marks the end of the Rosetta mission because it was not designed for landing, which consequently was violent. Some instruments remained active until the end to send data until it was possible. The Rosetta space probe reached the comet 67P/Churyumov-Gerasimenko in August 2014 and for over two years accompanied it on it journey near the Sun, the period in which it was active, and then far from it with the progressive decline of that activity. Rosetta was powered by solar panels so their efficiency decreased with its distance from the Sun and there were limits to its operation. For this reason, the mission was bound to end and it was decided to do it really with a bang. The Rosetta mission is the first to study a comet in such a thorough manner and along with there was the Philae lander, the first to land on a comet’s surface. Unfortunately, its mission didn’t have all the success they hoped because it got stuck among the rocks and was able to work only for a short time but still collected and sent a lot of data. A few weeks ago, its exact location was finally identified. 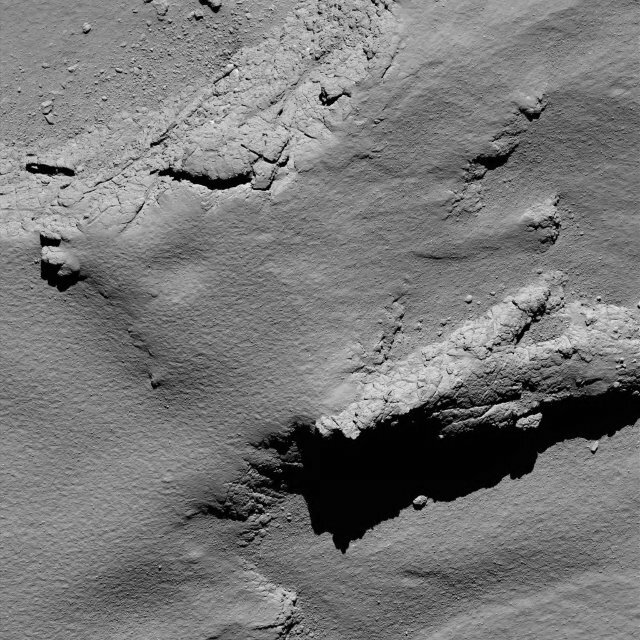 The enormous amount of data collected by Rosetta and also by Philae from the vicinity of the comet 67P/Churyumov-Gerasimenko and its surface allowed to understand much better these objects. Scientists obtained a lot of new information about their origin and their evolution passing through the many characteristics that were unclear. Taking close-up photos, recording data also at close range and directly analyzing the materials coming from the comet’s surface was the only way to solve its mysteries. Scientists had some surprise exactly because from Earth they can get limited observations of celestial bodies that are so small and far away. Over the past months, the energy that reached Rosetta’s solar panels gradually declined. This forced the mission control center to choose which instruments could keep on being used and which ones they had to shut down because there wasn’t enough power to run them all. Careful evaluations were made to decide which instruments they could use during the landing maneuvers on the comet 67P/Churyumov-Gerasimenko considering the limits to the time required to conduct the detections and the data’s scientific importance. The Rosetta mission is over but besides the physical impact there’s the huge one of this milestone in the history of cometary science. Many scientific papers on the comet 67P/Churyumov-Gerasimenko have already been published but the study of the data collected will continue for who knows how many more years. This mission will remain unmatched for many years if not for decades.